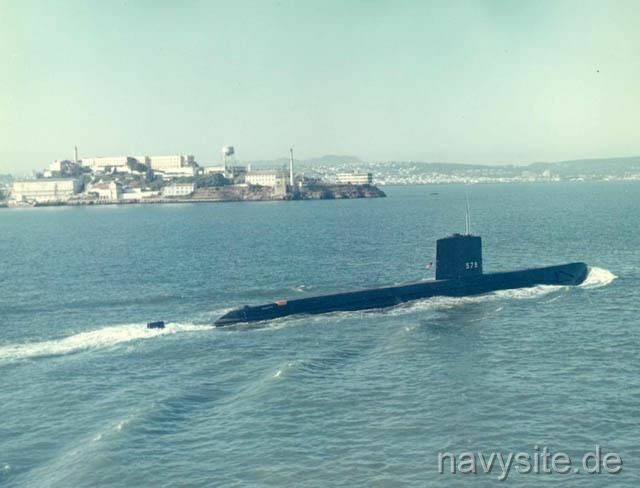 USS SWORDFISH was the second SKATE - class nuclear-powered attack submarine and the second ship in the Navy named after the large fish with the long, swordlike beak and the high orsal fin. Both decommissioned and stricken from the Navy list on June 2, 1989, the SWORDFISH spent the following years at the Puget Sound Naval Shipyard at Bremerton, Wash., awaiting to be disposed of through the Navy’s Nuclear Powered Surface Ship and Submarine Recycling Program. 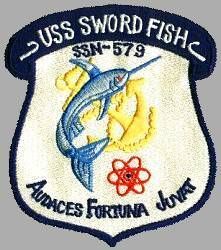 Recycling of the SWORDFISH was completed on September 11, 1995. This section contains the names of sailors who served aboard USS SWORDFISH. It is no official listing but contains the names of sailors who submitted their information. 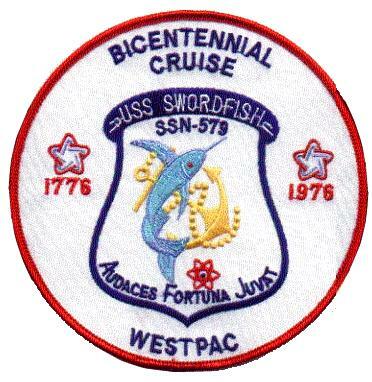 Click here to see which USS SWORDFISH memorabilia are currently for sale on ebay. February 16, 1975 off Lanai, HI. USS SWORDFISH runs aground while conducting post-overhaul trials. The submarine surfaces safely and returns to Pearl Harbor for inspection and repairs. The Navy says the submarine damaged sensor devices mounted on the hull but there were no breaks in the hull. However, the Honolulu Star-Bulletin receives reports that a torpedo room flooded. The Navy denies this. USS SWORDFISH suffers a propulsion casualty while operating in the Pacific. USS SWORDFISH was laid down on 25 January 1956 by the Portsmouth Naval Shipyard, Portsmouth, N.H.; launched on 27 August 1957; sponsored by Mrs. Eugene C. Riders; and commissioned on 15 September 1958, Comdr. Shannon D. Cramer, Jr., in command. SWORDFISH completed fitting out and held her shakedown in the Atlantic. After post-shakedown availability and subsequent sea trials along the east coast, she was assigned a home port in Pearl Harbor, T.H. effective 16 March 1959. 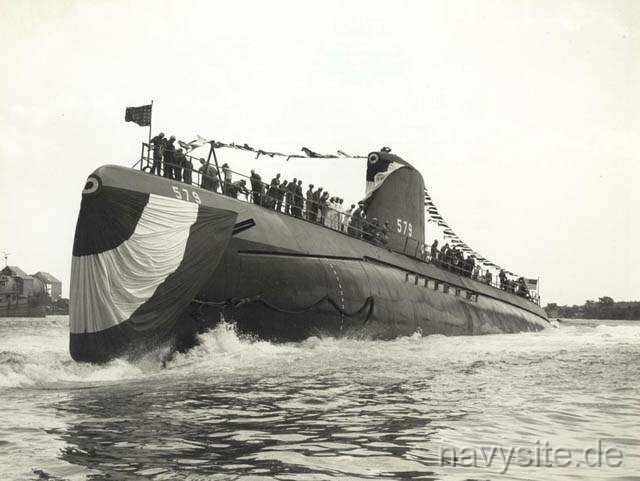 She steamed to Hawaii in July and was the second nuclear powered submarine to join the Pacific Fleet, joining SARGO (SSN 583). Assigned to Submarine Squadron 1, Swordfish steamed over 35,000 miles during her first year in commission with over 80% of them submerged.